**AMAZON CODE** PS4 Vertical Stand And Charger Station – ONLY $9.74! WOAH! Head on over to Amazon and score a PS4 (Playstation 4) Vertical Stand And Charger Station for only $9.74! These are currently priced at $14.99 and you will instantly save $5.25 when you enter code JPUGDYEB at checkout! **FREE** Men’s Health Magazine Subscription! Would you like a free Men’s Health Magazine Subscription?! Be sure to head on over and claim this freebie while supplies last! Men’s Health magazine provides information and tips on fitness, health, career, relationships, nutrition, recipes, weight-loss and muscle building. 2017 Entertainment Books – ONLY $10 SHIPPED! Head on over to the Entertainment Flash sale and score a 2017 Entertainment book for only $10 with FREE shipping! **FREE** Family Fun Magazine Subscription! Who doesn’t love free magazines? If you would like this freebie, head on over to claim your Family Fun Magazine Subscription today! TODAY ONLY! 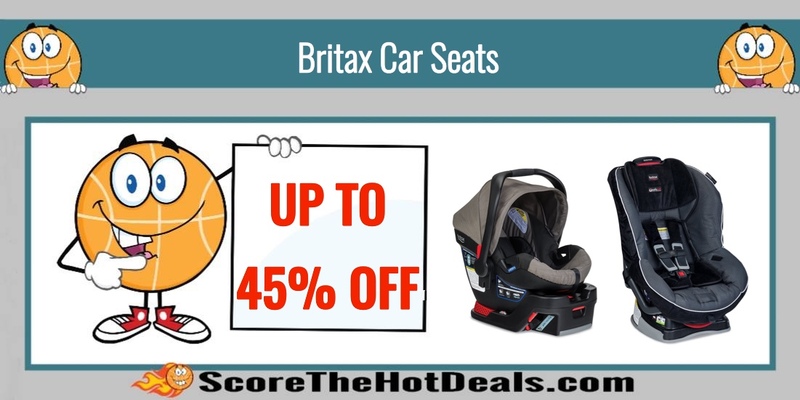 Up to 45% off Britax Car Seats! TODAY ONLY! Do you have a little one at home? Head on over to Amazon and save on select Britax Car Seats! Get FREE 2 Day Shipping with Amazon Prime (free Amazon Prime 30-day trial here). As a deal idea, you can get the Britax Marathon G4.1 Convertible Car Seat, Onyx for $159.00 (Reg: $290) – save 45%! It’s time to March Into Savings! February 26th – March 4th, get $10 off your purchase of $50, $20 off $100, $40 off $200, or $100 off $500. To use in store, print coupon or present barcode to cashier. 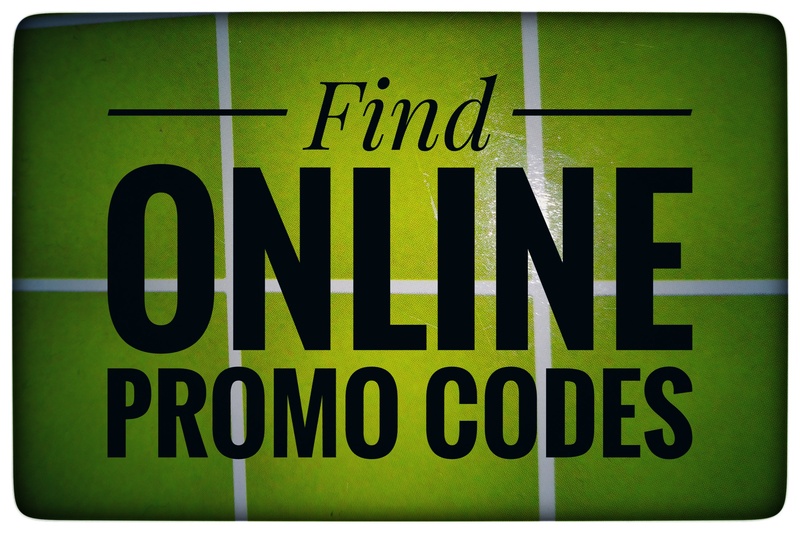 Enter code SAVEMORE at checkout to use online. TODAY ONLY! 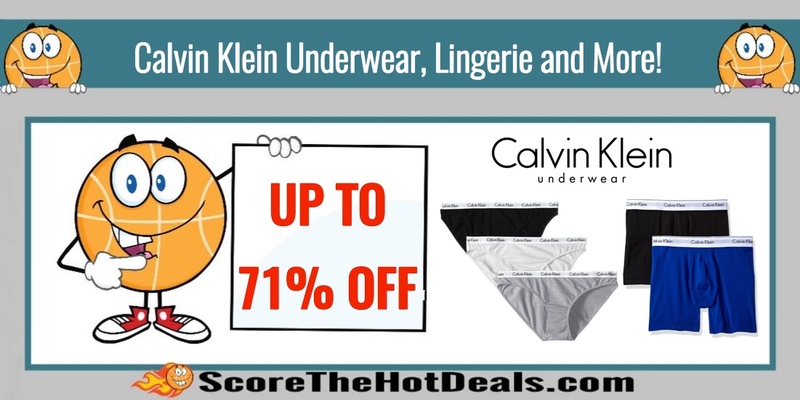 Up to 71% off Calvin Klein Underwear, Lingerie and More! TODAY ONLY! Head on over to Amazon and save on Calvin Klein! Choose from Women’s Lingerie, Women’s Sleep & Lounge, Men’s Underwear and Men’s Undershirts. Get FREE 2 Day Shipping with Amazon Prime (free Amazon Prime 30-day trial here). As a deal idea, you can get this Calvin Klein Women’s Liquid Luxe Pajama Top and Pant for $25.99 (reg: $90) – saving 71%! Learning Resources Mathlink Cubes (100 Pc.) – ONLY $8.99! Head on over to Amazon and score the Learning Resources Mathlink Cubes 100 Piece Set for only $8.99! Shipping is free for Prime Members or on orders over $35! MathLink Cubes are math manipulative toys that are specially designed to help children learn and practice math skills. These sturdy, colorful cubes can be securely connected and stacked together, like building blocks, so kids enjoy hours of play while they work on counting, adding and subtracting, and other mathematical concepts! *PRIME EXCLUSIVE* Wet N Wild Silk Finish Lip Stick (Blind Date) – ONLY $0.99! WOW! If you are a Amazon Prime Member hurry on over and score this exclusive deal on Wet N Wild Silk Finish Lip Stick (Blind Date) for only $0.99! There is no order minimum, but this item will take longer than normal to arrive. Have a little one at home? Head on over to Amazon and score the super cute 2-in-1 Mega Bloks First Builders Cookie Jar Baking Set for only $8.59! Shipping is free for Prime Members or on orders over $35! Serve up sweet surprises with the Cookie Jar Baking Set By Mega Bloks! Featuring two ways to play, this set lets your little one be the baker when they use the included blocks and special parts to mix a batch of cookies and then decorate them! Turn the cookie jar into a mixing bowl when you use the spoon to stir in blocks featuring special ingredient-themed decoration. There’s even an egg to crack! Next, learn self-expression and build motor skills when you make your own tasty creations, using the stackable pieces to add icing and sprinkles to the cookies. Flip over the cookie jar and use it as a display case to show off your treats. Then, share with friends before putting all your cookies away in the cookie jar for later! Ideal for ages 1 to 5.